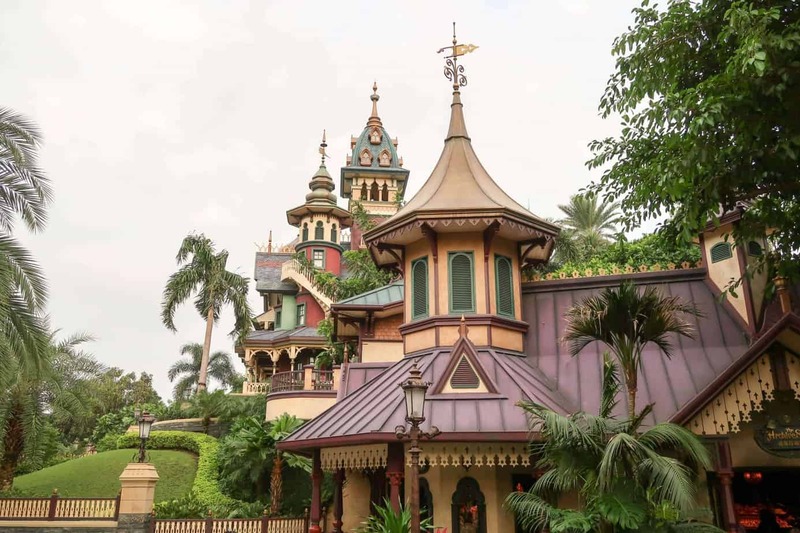 While Hong Kong Disneyland is the smallest Disney Park to date, there’s still a bit of research to do when planning your trip. You may want it part of a bigger Disney trip which includes Tokyo Disney Resort, Shanghai Disney Resort, or even both. Now, that’s dedication! 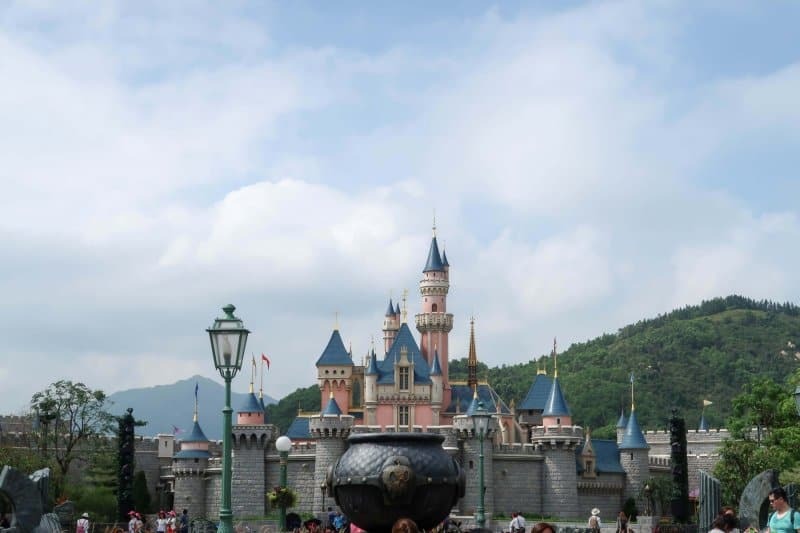 Whatever your plans are, our Ultimate Guide to Hong Kong Disneyland takes the stress out of planning and gives you all the information you need to create the best itinerary that fits your way of travel. We’ve done all the hard work for you and have researched and refined our guide to offer the best and most accurate advice for your trip to Hong Kong Disneyland. You’ll want to bookmark this guide, as we are constantly updating it. (We aim for at least once a month). Pair this guide with our podcast episodes, so you can plan even while you’re commuting. It’s the perfect way to maximize your planning! Alright, let’s get to it. Hong Kong Disneyland Resort consists of one park and three Disney hotels (Hong Kong Disneyland Hotel, Disney’s Hollywood Hotel, and their newest hotel, the Disney Explorers Lodge). The park, which opened on September 12, 2005, welcomed over 5 million guests in the first year of operation. It’s one of two large theme parks in Hong Kong — the other being Ocean Park Hong Kong. Hong Kong Disneyland Park is built on reclaimed land (similar to Tokyo Disney Resort) on Lantau Island in Penny’s Bay. The Hong Kong International Airport is on the same island, which makes it rather easy to get to the Resort (more on that below). The park has a multi-year development plan (which started in 2017 with the opening of the Iron Man Experience in Tomorrowland) and continues into 2023. The plans include a transformation of Sleeping Beauty Castle, a Frozen-themed area, Marvel attractions, and more. It’s an exciting time at Hong Kong Disneyland! All prices referenced in this guide are given in HK$ (Hong Kong Dollars) and USD (US Dollars). 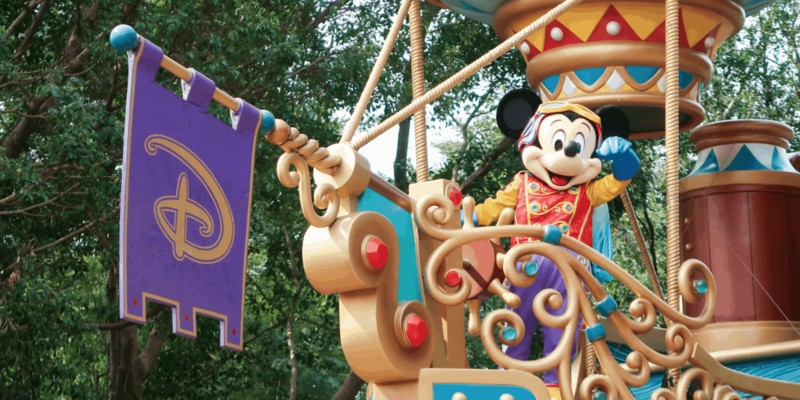 The biggest decision and our most-asked question are when to visit Hong Kong Disneyland. Much like Tokyo Disney Resort and Shanghai Disney Resort, the weather, school schedule, and public holidays play a major role. Avoiding any public holidays throughout the year is a good rule of thumb. Our information is based on our own personal experience and references to other sources. 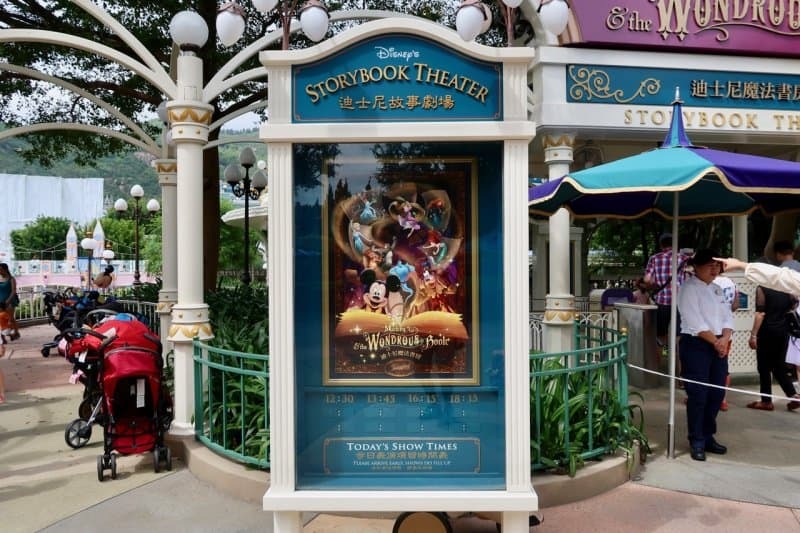 Hong Kong Disneyland doesn’t need a crowd calendar. The park itself, in general, is not as busy compared to Tokyo Disneyland or Shanghai Disneyland. This section covers when to visit and how to avoid busy times of the year. The best time to visit in October, November, or December. October is still hot and humid with an average high of 28°C (82°F), while in November and December the average high is 24°C ( 75.4°F) and 20°C (68.4°F). During these three months, the Halloween and Christmas events are happening. Christmas does not start right after Halloween, so it makes it tough to plan to hit both events. You’re best off choosing one or the other. An alternative time to visit in April and May, with an average high of 25°C (77°F) and 28°C (82°F). The weather is comfortable at this time. The least desirable time to visit is the Chinese New Year in late January into February, during the exact dates each year. The park is busy and everyone is off for the holiday. Not to mention prices increase throughout Hong Kong. Between June and September is another time that is not ideal to visit. This is right in the middle of typhoon season and the humidity and heat are at their peak (average high of 30°C or 89°F). It’s considered even worse than Tokyo during this time, in terms of weather. We have done a visit in June and the heat and humidity is almost unbearable. My personal preference — if your trip consists of both Hong Kong and Tokyo — is to visit Hong Kong Disneyland for Halloween, then hop over to Tokyo Disneyland for Halloween at the end of October. 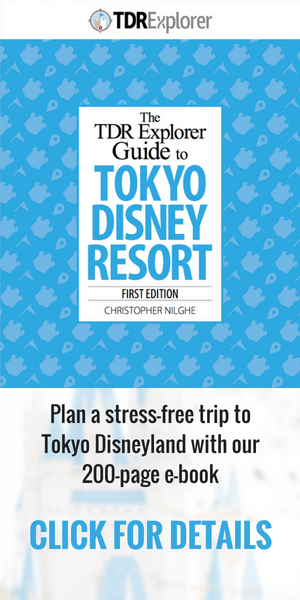 Follow this by taking a week to travel Japan in other areas, then return to Tokyo Disneyland for the start of Christmas (usually starting the second week of November). 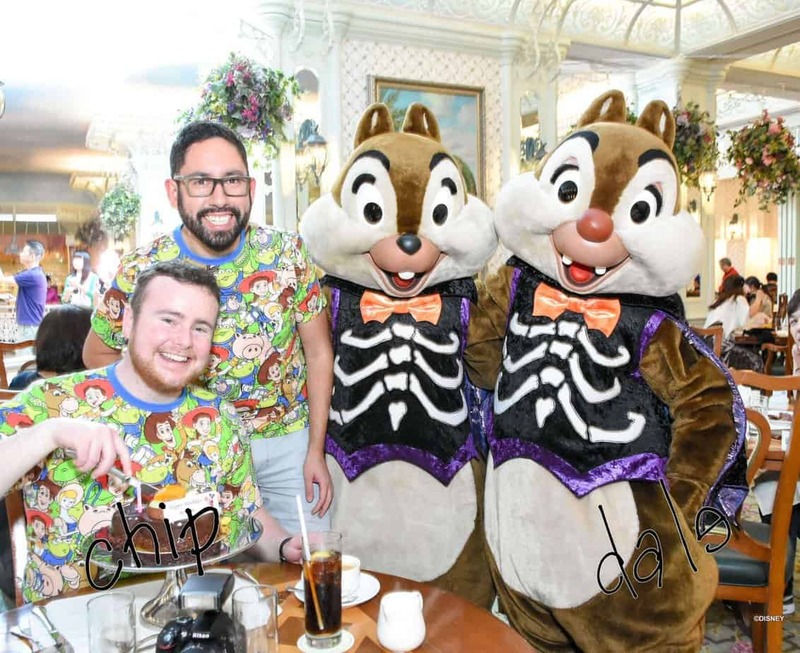 The next question you are probably asking yourself is “How many days should I spend at Hong Kong Disneyland?” There are a few scenarios that I have come up with to help you with that question. If you are vigilant — and have a limited amount of time — you can hit the highlights in one single day. Just be mindful of the park hours. On average, the park opens at 10:00 and closes at 20:00. You’re best to check the official website for updated hours, which is on average published only 2 months ahead of time. If you have the time, then I recommend doing 2 full days at the park. This way you can soak in your favourite attractions (I’ll tell you now, it’s Mystic Manor) multiple times and take your time to enjoy the park at a slower pace. This also keeps you nice and rested if Tokyo Disneyland or Shanghai Disneyland is your next destination. Not only can you enjoy everything at the park, you give yourself room to enjoy the Disney hotels. Soak in the pool (if it’s open), enjoy a nice meal of Dim Sum at the Crystal Lotus, or a relaxed breakfast at Chef Mickey. My personal recommendation is the Disney Explorers Lodge and character breakfast at Dragon Wind. If you have a lot of time to spare or want to experience everything in the park multiple times over, then 3 days is the max I can recommend. After that, you’ll have done everything multiple times. Which isn’t a bad thing; the resort just isn’t big enough to call for any more than that. 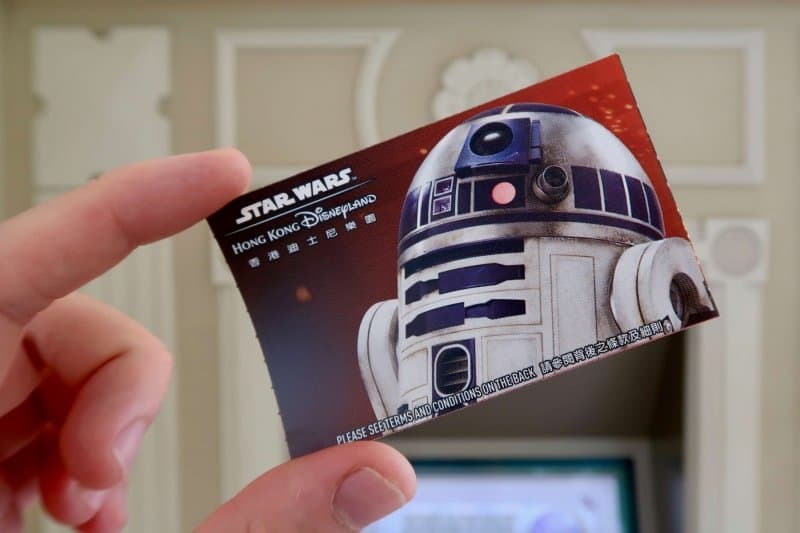 Buying tickets for Hong Kong Disneyland is easier than Tokyo Disney Resort, and also less confusing. You choose between a 1-day or 2-day ticket and you can buy them online with or without a Disney hotel reservation. Our full guide goes into detail about what the best options are. Keep an eye on the deals page on the official website, as they post discounts and deals quite often. You may get discounts on your tickets with a hotel stay, meal vouchers, or other perks. Another option for discount tickets is through Klook. You can save up to 16% off your park tickets (which is a nice chunk of change). It’s a service we have used in the past and highly recommend. They also offer tickets for other attractions and destinations in Hong Kong. If you’re spending more than 2 days at the park (in a row or over the course of a year), then the Silver Magic Access Pass (their annual pass) is worth considering. The cost of an adult Silver is HK$1,078 ($140USD) and the cost of a 1-day and 2-day ticket combined is HK$1,278 ($165USD) which is a difference of HK$200 ($25USD). This also gives you discounts on merchandise, restaurants, and even hotels (between 20-40%). 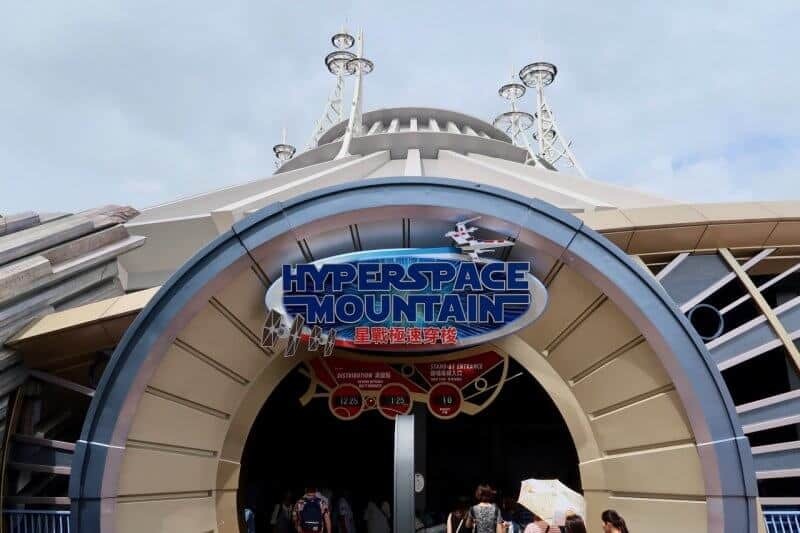 Hong Kong Disneyland doesn’t publish much about prices outside of hotels and park tickets, so it makes it hard to budget what you’ll spend in the park. Here’s a simple outline of average costs of certain items. Just keep in mind that prices do change and use this as a rough guide. All flights arrive at the Hong Kong International Airport, which makes it rather simple to get right to Hong Kong Disneyland Resort. 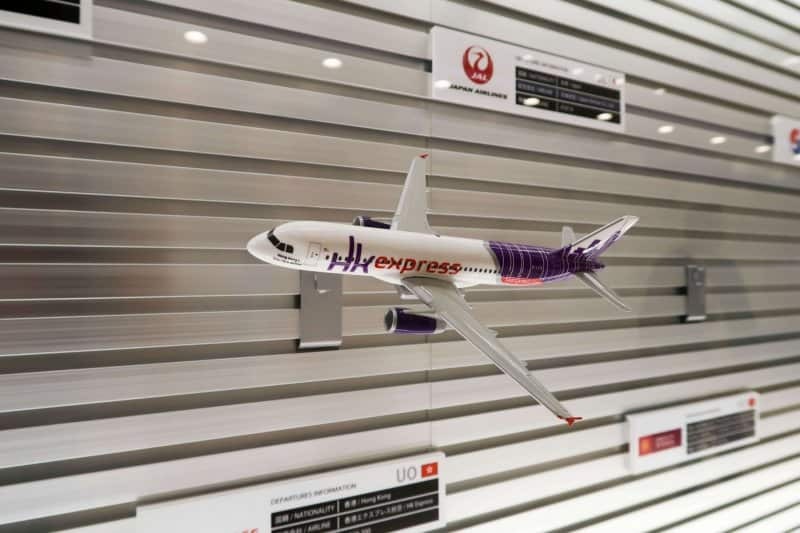 If you are traveling within Asia to Hong Kong, my preferred airline is Hong Kong Express. They often have sales from Tokyo for about $100 USD round trip (sometimes even cheaper). Other options are JetStar and Air Asia from Japan. If you’re arriving intentionally, then go with whoever your preferred airline is. To get to Hong Kong Disneyland Resort you can take a taxi, the metro, or a Disney hotel shuttle. The easiest is taking the light blue taxi (Lantau Island) and costs between HK$180 to HK$200 ($20 to $25USD). The taxis hold up to four people. The airport and Disneyland are on the same island, and the trip takes about 20 minutes. The MTR is simple to use, inexpensive, and easier to figure out. I recommend buying their Octopus Card (I have one and use it each time I visit), which is a card you load with money and tap as you enter and exit the gates. This makes it easier than buying single-trip tickets each time. If you’re spending any time in the city, then this is the way to go. You can buy a discount Airport Express ticket through Klook for HK$45 ($6USD) and save yourself about $3USD. It’s super simple to use: buy the ticket through their app and show the QR Code or printed voucher at Tsing Yi Station. You can even buy it the day you arrive if you wish (which is what I do). Hong Kong Disneyland consists of three Disney hotels: Hong Kong Disneyland Hotel, Disney’s Hollywood Hotel, and their newest hotel, Disney Explorers Lodge. Reservations open 4 months in advance. Keep an eye on for hotel deals through the official website. 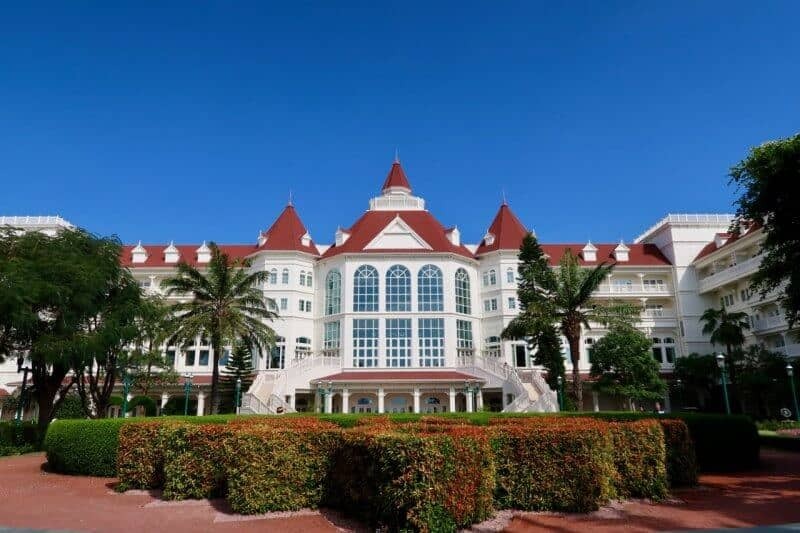 Hong Kong Disneyland Hotel is their flagship hotel, which is a Victorian-style hotel similar to the Grand Floridian and Tokyo Disneyland Hotel. Rooms start at HK$2,600 ($335 USD). In summer 2017, their Kingdom Club Level rooms now offer a luxurious Frozen Suite. Disney Explorers Lodge opened in 2017 and has an exploration theme which is similar in style to Disney’s Animal Kingdom Lodge. Rooms start at HK$2,200 ($285 USD) per night. This hotel is my personal favourite and our recommendation. We have done this hotel twice and each stay has been perfect. 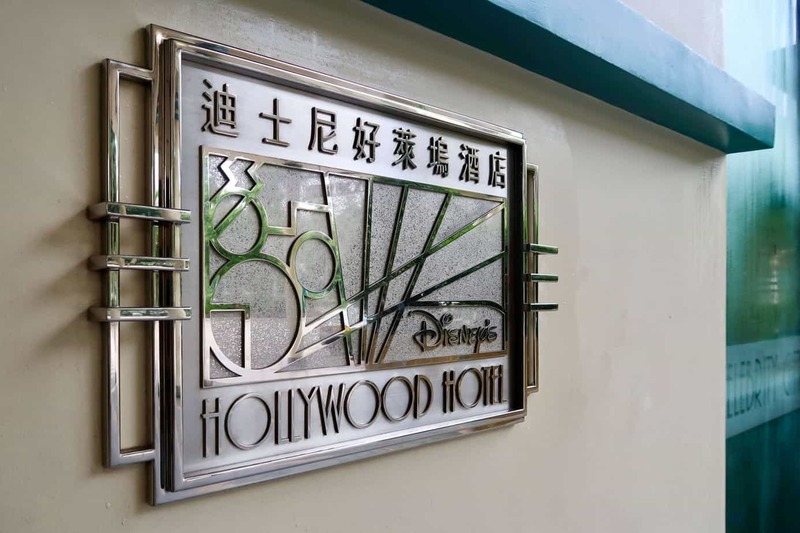 Disney’s Hollywood Hotel is their Art Deco style hotel — and also the cheaper option — starting at HK$1,850 ($240 USD) per night. 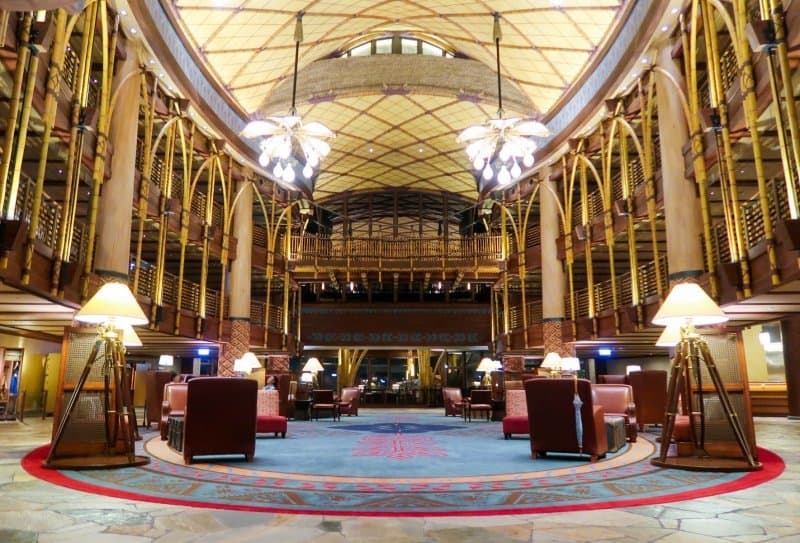 It’s similar in style to the Disney Ambassador Hotel at Tokyo Disney Resort. Keep an eye on the official website as they often publish deals for discounts on rooms. If you’re a Magic Access Member, there are bigger savings, too. As an example, we stayed in June and got 40% off our stay, which is a significant discount. Both hotels have free shuttles to/from the park. You can walk from the Hong Kong Disneyland Hotel and it takes about 10 minutes. It’s a nice relaxing walk and there is rarely anyone else walking the same path (everyone goes the opposite way to the metro station). Disney’s Hollywood Hotel and Disney Explorers Lodge is about a 15- to 20-minute walk, but I don’t recommend doing this. Just take the shuttle. We have stayed at each of the hotels multiple times. As mentioned, my recommendation is the Disney Explorers Lodge. But you can’t go wrong with any of the Disney hotels. What to pack in your bag is dependent on the time of the year. We cover this in great detail for Tokyo Disneyland and it’s easily applied for Hong Kong. For the summer, a refillable water bottle, cooling towel, hand towel, sunscreen, and Uniqlo AIRism undershirts are the absolute best items to bring with you. I swear by Uniqlo AIRism, and not only do they keep you cooler, but they help with reducing the sweat marks on your outer shirt. For the winter, having a Uniqlo Heattech undershirt is a must, as it holds your body heat. With an average temperature of 17C (63F) from December to February, it isn’t as cold as Japan during this time period. Don’t worry too much about bringing too many items with you to the park. They offer storage lockers to put your excess items in. For example, if it got too warm and you dressed for the cold, you can pack your heavy jacket instead of carrying it all day. Lockers are on Main Street U.S.A. and are accessible for a fee, but you can access your baggage all day without having to pay again. No matter the time of the year, a portable mobile battery is a must to keep your devices charged (or your wifi device). 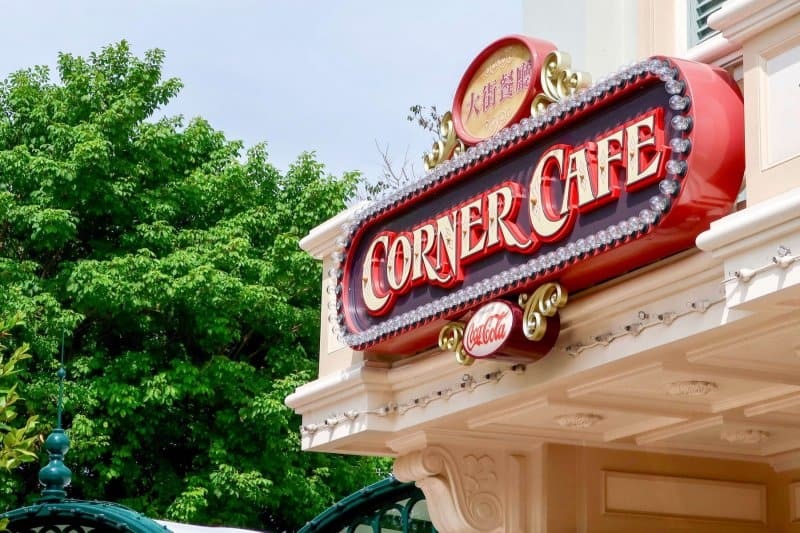 Hong Kong Disneyland offers a variety of food options at their restaurants, although I find their snack game is behind what Tokyo Disney Resort offers. Cuisine ranges from burgers to Halal to vegetarian options. With such a large number of visitors from different parts of Asia (and all over the world), Hong Kong Disneyland does well to accommodate different diets. 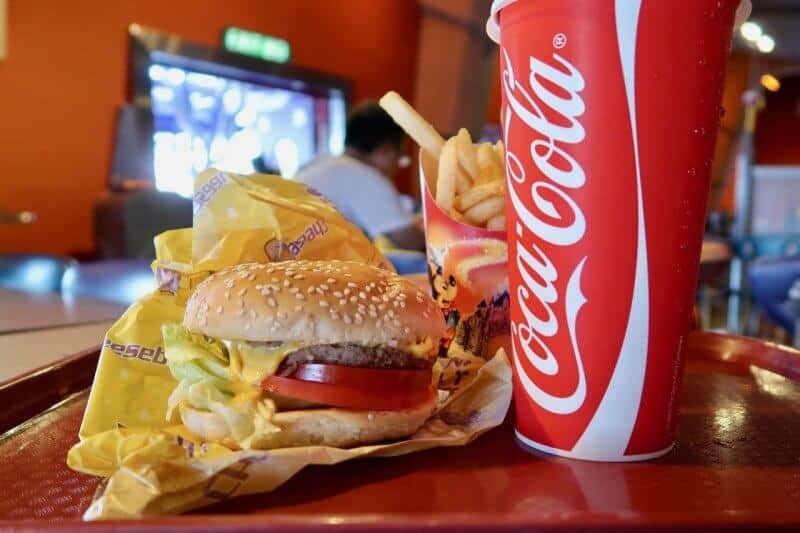 Many of the quick-service restaurants are cafeteria style, where you choose a line that serves the type of food you want, order it, then take your meal to the register and pay. There are menus in English at the front of each restaurant and plastic displays of most of the food. As for table service restaurants, most you can walk up without a reservation (such as the ones in the parks). If you want to experience the delicious and adorable Dim Sum at the Crystal Lotus in the Hong Kong Disneyland Hotel, you need to make a reservation as they don’t accept walk-ups only for the Dim Sum. You can make reservations with your Disney hotel stay up to 120 days before your stay (or once you arrive). If you aren’t staying at a Disney hotel, then you can make reservations 42 days in advance. I recommend making a reservation for the hotel buffets, Chef Mickey, Enchanted Garden Buffet, and Dragon Wind. For all other restaurants and snack carts, download the official Hong Kong Disneyland App and check if it is open. Snack options are not as abundant compared to Tokyo Disney Resort, so I find myself not snacking as much. But that doesn’t mean there aren’t a few hidden gems out there. The biggest is the Mango Dole Whip (not sure if you can consider this a hidden gem, but I am calling it that anyway) in Toy Story Land. It’s delicious, and if Jessie’s Snack Roundup is open, I recommend it. Our last few visits, it hasn’t been available so I am unsure if this is a seasonal item or not. 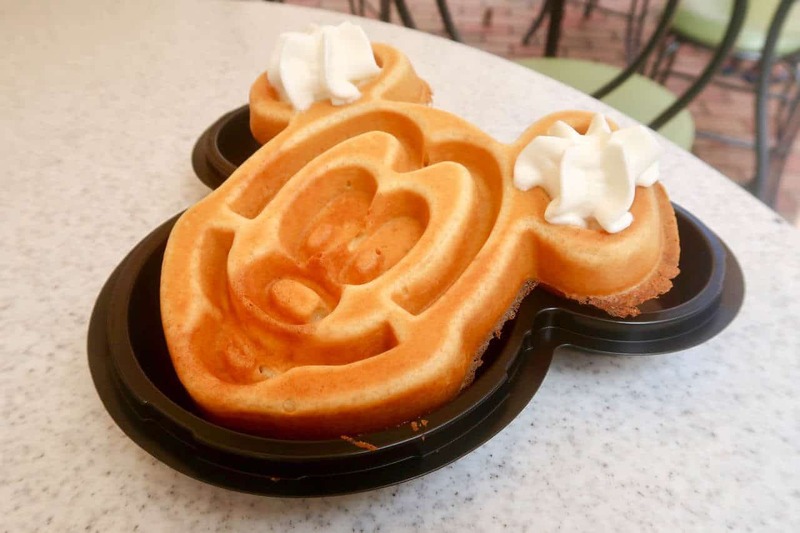 Another favourite — which again is not exactly a hidden gem — is the Mickey waffles at the Main Street Market with syrup, chocolate sauce, and whipped cream. You can’t go wrong with this, and it also makes for a balanced breakfast. (Note: I am not known for giving the best health advice). The best-themed snack I have stumbled across is the Pooh Bear Ring (donut) and the Donald Duck Ring at the Market House Bakery. While the donuts are nothing special in terms of flavour, you cannot deny how photogenic they are. While there isn’t a Starbucks in the park, the Market House Bakery does offer a limited selection of Starbucks Drinks (they come in a plain cup) such as the mocha Frappucino. Other snacks include caramel popcorn, Mickey ice cream bars, various ice cream bars, Korean BBQ squid, and other snacks. They do carry souvenir popcorn buckets (including Tsum Tsum). The burgers are decent and they serve fish and chips! A variety of Asian cuisine. I recommend the Korean BBQ ribs. The wonton soup is my choice. It’s hard to go wrong with pizza. 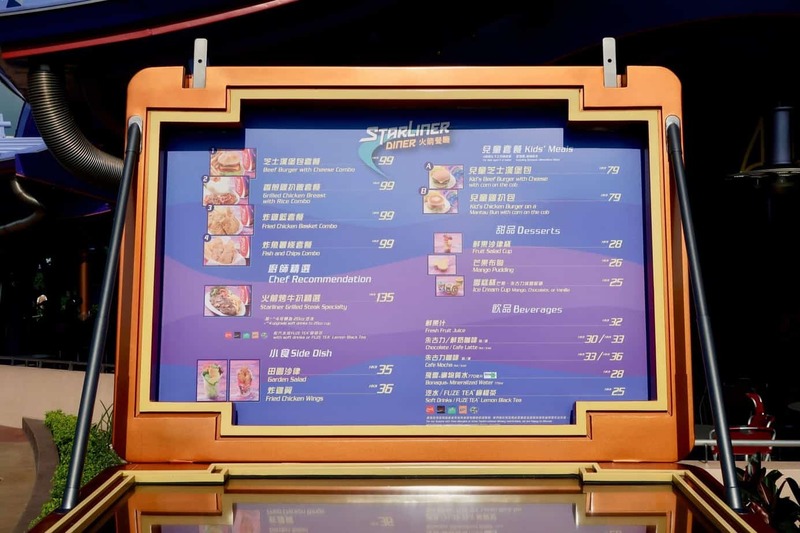 While a bit pricey and the decor is nothing fancy, the food is good and they offer seasonal treats (a lot of Duffy, ShellieMay, and Gelatoni themed items). The Wagyu beef burger is my recommendation. Great option for breakfast and you can meet Mickey! They have food options for everyone. Check for deals included with your stay at the hotel. Another great character dining experience, with more characters and a huge variety of food to devour. The character breakfast is their best one and the wide range of food for the buffet is excellent. This is the best table service restaurant they have at the resort. Don’t question, just go eat here! An average meal at a quick service restaurant is about HK$99 ($12.75USD) and goes up to HK$159 ($20USD). You also get an ice cream treat or popcorn. So you can see the savings already. 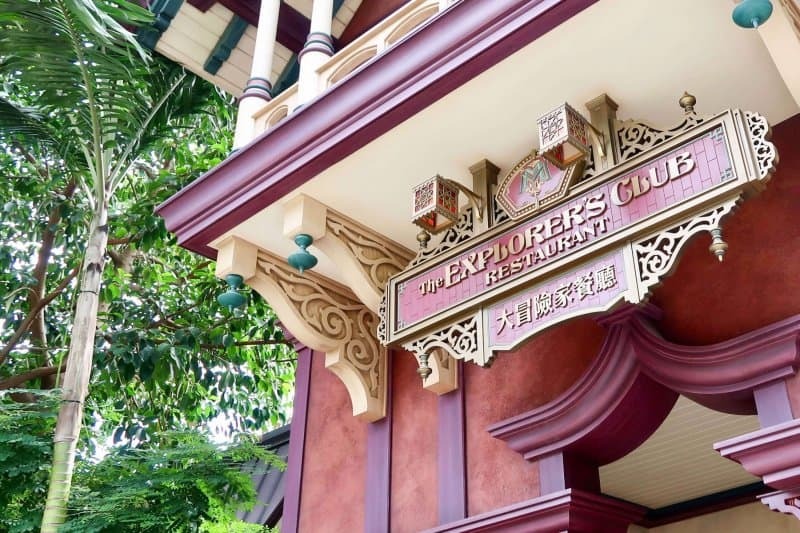 The meal voucher is valid at River View Cafe, Royal Banquet Hall, Explorer’s Club Restaurant, Comet Cafe, Clopin’s Festival of Foods, Tahitian Terrace, and Starliner Diner. Another way to save is to use a refillable water bottle (a plastic bottle from a store is fine) at the many water fountains. The water in Hong Kong is safe to drink. All major credit cards are accepted throughout the park and hotels. We had no problems with paying with our cards. You do get to choose which currency you want to pay in, however, either in Hong Kong Dollars or the currency of your credit card. Depending on the exchange rate, it’s almost always better to choose to pay in HKD. Also, take note of the international transaction fees associated with your credit card, as they do vary. Here’s an idea of what the exchange rate is. This does change, so it’s best to check sites such as xe.com. This is what HK$100 is in other currencies as of 2017 as an approximation. There are Visa Plus ATMs at the park and hotels. So if you have a card that works with that, you are able to pull out cash in Hong Kong Dollars. Just be mindful of your bank fees before you do. While not used at the parks, the Octopus Card is their version of the IC Card (think Suica/Pasimo in Japan). You can load up to HK$ 1000 on the card and use it for small purchases within Hong Kong and for the metro. For convenience sake, I recommend pre-purchasing a loaded card and picking it up right at the airport. I use cash during travel for most purchases (unless I am buying something large or don’t have enough cash) to track my spending much more easily. It’s easy to swipe your credit card and end up spending more than you need (that’s what they want anyway). Paying by cash or credit card, you won’t have any issues. Free wifi is available at the Disney hotels and in Hong Kong Disneyland Park. It’s simple and easy to use (no password). The only downside for the in-park wifi is that the signal is weak inside most attractions and restaurants. Often times, it’s not available at all. 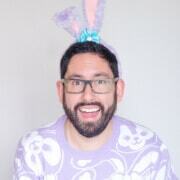 So if you just need to check social media and upload a few pictures every so often, this is acceptable. 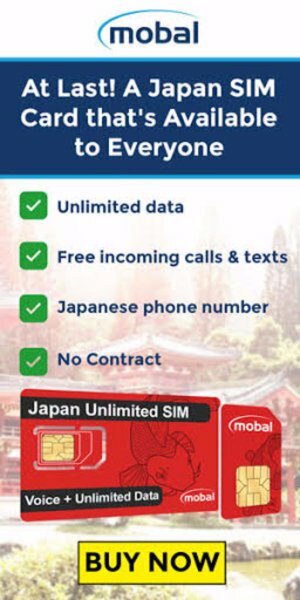 If you need a constant connection for live streaming, Instagram, Snapchat, live tweeting, etc., then you have some options for SIM cards (if your phone is unlocked) or wifi devices. The internet in Hong Kong is not censored like it is in mainland China, so you have access to all social media and apps without any issues. I recommend pre-paying for your SIM card ahead of time and then picking it up right at the airport. 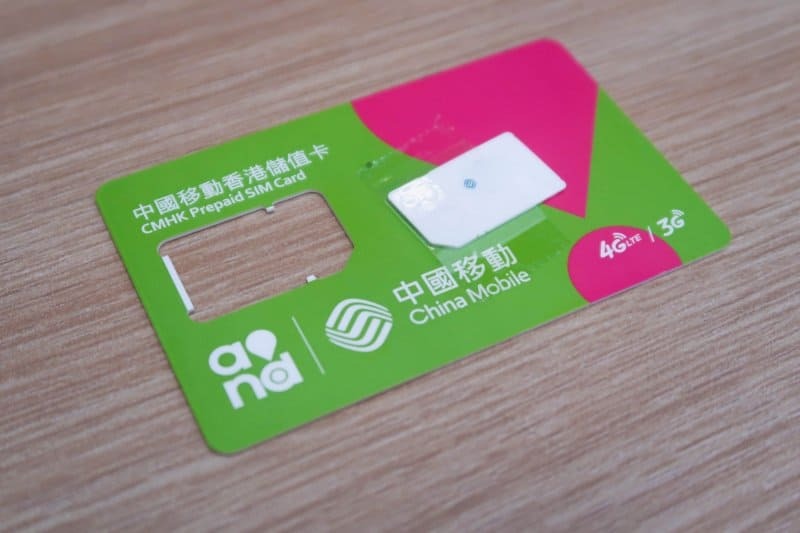 This is the easiest and one of the cheapest ways of getting a SIM card for your unlocked phone. For a cost of HK$55 (about $7USD) for 1.5GB of LTE day for 5 days, this is my top recommendation. If you’re planning a trip to both Hong Kong and Shanghai Disneyland, then I recommend this SIM card from Amazon. It works in both Hong Kong and Shanghai (mainland China). The best part is this bypasses the Great Firewall in Shanghai, which means you can get access to all your social media such as Twitter, Instagram, Facebook, and Google with zero issues. I have used both SIM cards listed above and recommend them because they are affordable and easy to set up. If your phone is not unlocked, then I recommend this wifi device. For the cost of $2 USD per day, you can pick it up right at the airport, and you can’t go wrong. Just make sure you have a portable battery to keep it charged all day. Cantonese, Mandarin, and English are spoken at Hong Kong Disneyland. 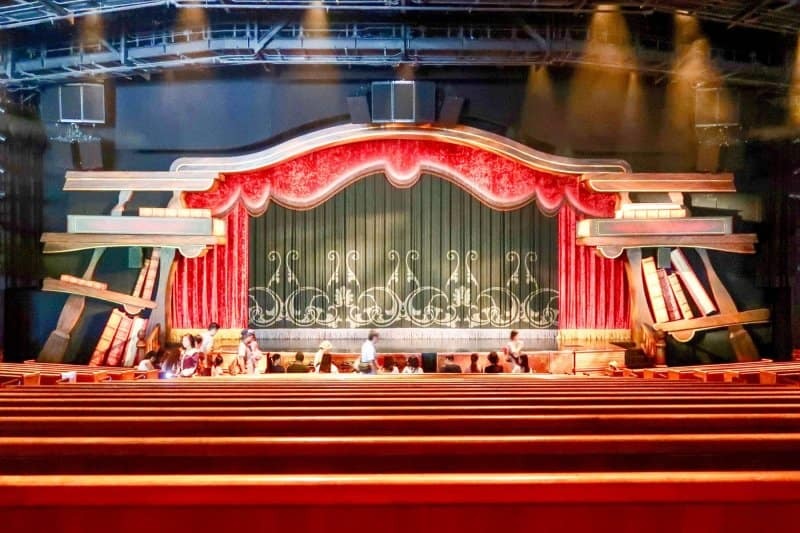 If you’re an English speaker, you will have no problems interacting with Cast Members or understanding most of the shows. 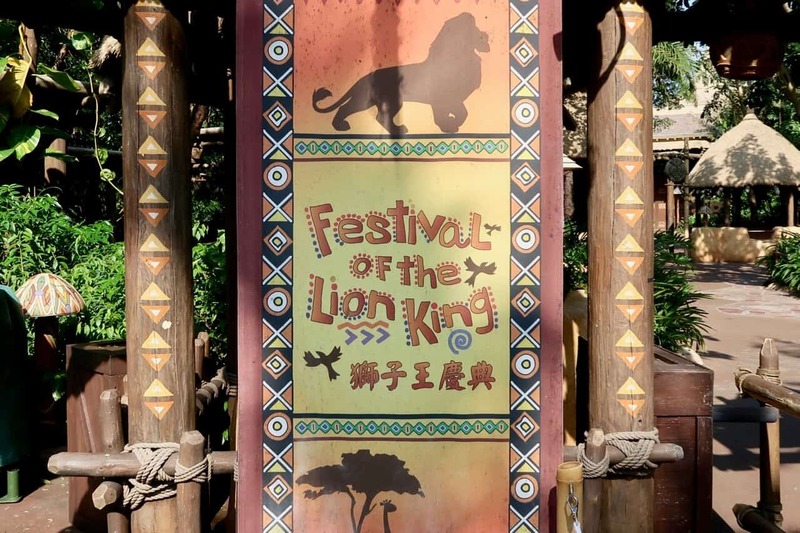 Live shows such as The Festival of the Lion King and Mickey and the Wondrous Book have Cantonese and English in the dialogue. In Mickey and the Wondrous Book, the dialogue is in Cantonese, but there are English subtitles off to the side, while The Festival of the Lion King is in English with Cantonese spoken by other characters to translate. Overall, the Park and Hong Kong, in general, is accessible in English, which is much easier compared to Tokyo Disney Resort. If you have visited the parks in Japan, then you will notice a few key differences in the park in Hong Kong (and the city in general). These are by no means a bad thing, just differences you should be aware of. During parades and shows, people stand and will use their phones and other screens above their heads. There’s no sitting for most outdoor shows (unless you’re in the sitting area in front of the Castle for the fireworks show). This makes it a bit difficult if you are shorter or have children. It’s best to situate yourself in front of a guard rail or front row for a parade. While nowhere near as prevalent as Shanghai, there is light pushing in crowded situations. Don’t be afraid to lightly push your way through the crowd if you need to. This is acceptable and expected. This happens during parades and fireworks shows, where people tend to crowd. No need to worry about queue jumping, as that doesn’t happen often. Other than that, as long as you are polite, you will have no issues. Of course, when you visit any Disney Park, you want to enjoy the attractions. Hong Kong Disneyland offers some unique and one of the best rides at any Disney Park. The differences between parks make visiting all the parks special! In general, the wait times for attractions are low. The longest I have seen is 30 minutes, and that was for The Many Adventures of Winnie the Pooh and Toy Soldier Parachute Drop. So the need for FastPasses is not a necessity. You’ll see many attractions with 10- to 15-minute wait times. But with the opening of the Iron Man Experience, you should opt to get that FastPass. The major attractions, such as Mystic Manor, Big Grizzly Mountain Runaway Mine Cars, Hyper Space Mountain, and RC Racer have wait times between 5 to 20 minutes. For one park, they pack a lot of entertainment options for a single day. Daytime and nighttime parades, live stage shows, and a fireworks show. You have to make time for at least two of these! My absolute favourite is Mickey and the Wondrous Book. If you’re only able to see one show, make it this one. The show is popular and fills up, so get there at least 30 minutes early to line up. The best seats to see the entire stage with minimal obstruction is the seats near the back along the walkway. With the space of the walkway, the next row ahead of you is lower, so you should be able to see over everyone’s head. Also, you can see the subtitles on the side of the stage without cranking your neck back and forth. Paint the Night is another favourite, so make time to see this one, too. Anywhere along the parade route has a great view. Flights of Fantasy is a cute parade with catchy music. Unless you’re a fan of parades and/or characters, if you miss this, don’t feel too bad. The Festival of the Lion King is different than the US version and is worth seeing if you have the time. Finishing off with “Disney In The Stars” Fireworks is a perfect way to end your fabulous day at Hong Kong Disneyland. The seating area fills up rather early, so if you want a spot, get there about an hour beforehand. Otherwise, anywhere in the area is fine. Try and situate yourself in front of a guard railing to avoid having taller people in front of you or illuminated screens in your face. Reading multiple resources is always a fantastic idea to gather different opinions and strategies. What I think is best may differ from someone else, and vice versa. 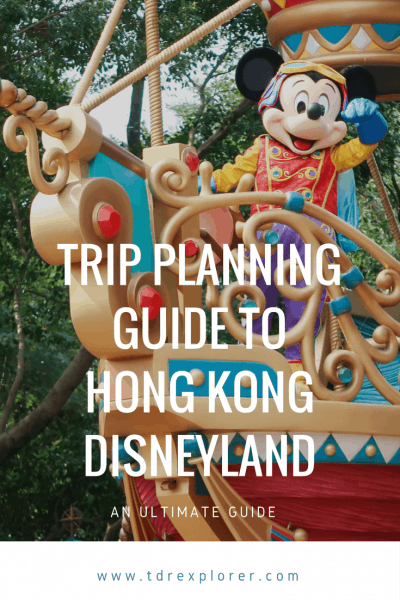 I recommend the Hong Kong Disneyland Guide from our friends over at Disney Tourist Blog. Here’s a quick summary of all the items we linked to buying before your trip. See our recommendations for activities in Hong Kong. 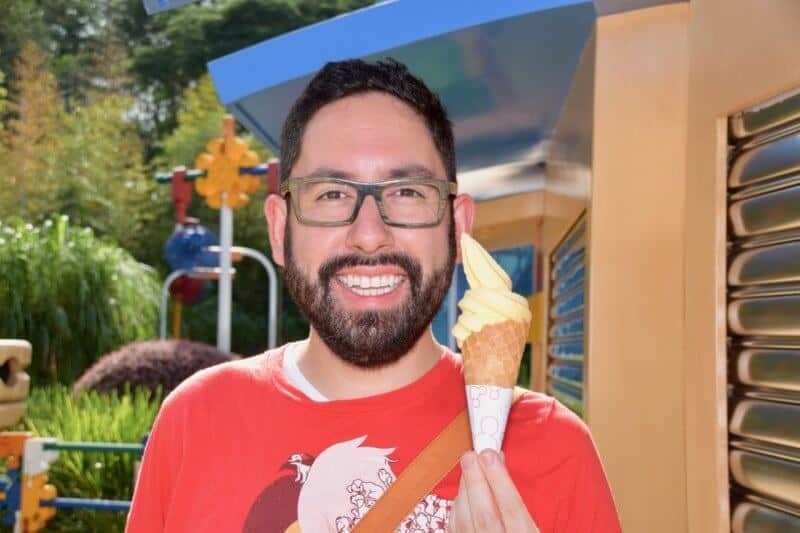 Note these are affiliate links and help pay for the website and allows us to continue bringing you the best in advice for Disney Parks in Asia. Read our full disclosure for more details. Hong Kong Disneyland is a wonderful park and is worth the visit. With our guide, you’ll be an expert before you even enter the park. If you found this guide useful, please share it with your friends and on social media! We even created a beautiful Pinterest image for you to pin. Thank you so much for reading, and make sure to bookmark this guide as we continue to update it with the latest and best information and advice.